"The Best of Times Bar is the ultimate piece of party equipment for entertainers from all walks of life. 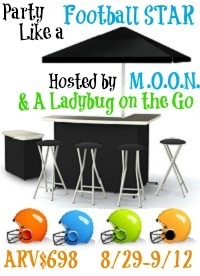 The portable bar is perfect for any occasion, and can be customized with a variety of interchangeable wraps." "Best of Times Bar is the first and only high-quality portable bar designed for use both indoors and out. Ideal for entertaining on the patio, tailgating for the big game, or even hosting an elegant cocktail hour; the Best of Times Bar has everything needed to create the ultimate party. The portable bar can be assembled in less than five minutes, and its durable construction makes it perfect for entertaining on-the-go. The professional quality bar is great for caterers, professional party planners, tailgate enthusiasts and the everyday party host. With a wide and growing variety of image wraps, the Best of Times Bar can be customized to match décor for any occasion."